Allied Plastics is headquartered in Jacksonville, Florida. They manufacture tables, table tops and table legs for the school, office and food service industries. 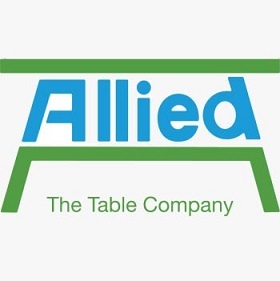 Since 1945, Allied has served these industries by providing a wide range of top-of-the line, custom-crafted tables backed by superior customer service. Today, Allied Plastics sells their products through a network of distributors including Worthington Direct. Allied Plastics is well known for their science lab tables which are constructed from a variety of materials including chemical resistant laminate, phenolic resin and epoxy resin for extra durability. Activity tables have also been a part of Allied's product line and are currently in use by classrooms all around the country. A more recent addition to the Allied Plastic's lineup are the Common Core Aligned MarkerBoard Tables that feature dry erase tops.The newest offering are classroom chairs and desks all built to the tough standards that Allied Plastics is known for.